Luxor Premium Range There are no products in this category. Metoer Range includes a 3 year guarantee on the Frame and AbacoXF Weave and a 2 year guarantee on the Ultra Hi-Loft Fabrics. The luxurious synthetic leather fabrics are complimented perfectly by the synthetic rattan with both being equally plentiful in the design. 3 year guarantee on the Frame & Weave and a 2 year guarantee on the Fabrics. Luxor Corner units are increasingly popular nowadays both indoors and out. classic combination of synthetic leather with eye catching outdoor rattan in a hugely contemporary design that will add chic appeal to both commercial and domestic spaces. luxury garden furniture Sets includes a 3 year guarantee on the Frame and Weave and a 2 year guarantee on the the fabrics? Design and plenty of compartments in the Home Bar itself you can keep all the entertaining essentials all in one place so they’re easily reachable when required but not visible and creating clutter when not needed, luxury garden furniture Sets Our Luxor Range is well-known for its quality and attention to detail. Let us help you in designing your luxury wooden garden furniture. Garden Furniture Spain has a vast range of garden furniture which is lightweight, durable, and perfectly suited for outdoor use with the ability to withstand all types of weather conditions. All the materials that we use are eco-friendly, 100% recyclable and low maintenance for regular use. It will retain its new look for a longer time as it is dirt resistant. Isn’t it great? Create your own classic patio that depicts your style and also perfectly fits your budget. with us. Do not miss to look at the luxury rattan garden furniture sale at Garden Furniture Spain. 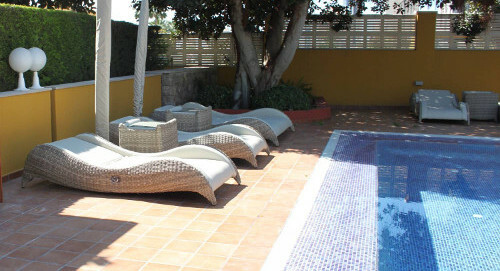 Shop Online for Luxury Garden Furniture at Gardenfurniturespain.com. Garden Furniture Spain has an extensive range of luxury garden furniture that will transform your simple outdoor to a mind-blowing outdoor exterior. We have Luxor corner units, Meteor range, Luxor sofa sets, Pienza range, Vernazza range, Luxor chairs, Luxor sun loungers, Luxor dining sets, Luxor sofas, Luxor daybeds, Luxor bar sets, and Luxor cushion boxes. The Luxor corner units are quite popular these days both indoors and outdoors as they give an absolute modern contemporary look. Another important thing to note is that there is 3 years warranty on the frame& weave and a 2-year warranty on the fabric in the Luxor range products. We also provide supreme quality Luxor weather covers that are specifically manufactured to best fit the furniture ensuring tight, fitting protection. Shop the best ones by visiting Garden Furniture Spain’s luxury garden furniture sale and grabbing them at once.